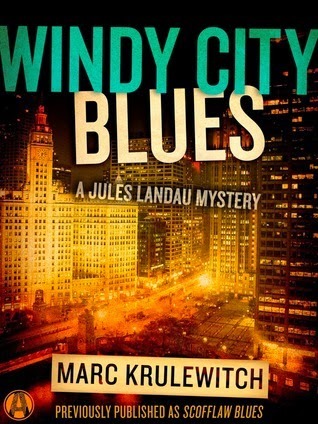 Windy City Blues is the second novel in a series to feature Jules Landau, a Chicago private eye with a family history he'd much rather forget -- a take on the PI subgenre that I personally haven't encountered up until now. The action begins in a short chapter with the murder of a parking officer, Bagrat Gelashvili, aka Jack. Jack is killed in his own neighborhood, but the homicide detectives in charge of the investigation don't seem to care very much about getting serious about why Jack's dead. A week later, a concerned citizen visits the office of PI Jules Landau, and wants to pay him to find out who did it. He didn't know Jack, but he lives in the neighborhood where Jack met his end. Remembering the Boston Marathon bombing and how deeply it affected him, he wants Jules to find out who did it so that the case does not stay unsolved -- he is also thinking about how the lives of his children, three year-old twins, who will "never be the same" after seeing the ambulance, police cars and the crowd. He needs to know "why a life was extinguished so close to where my children, my neighbors, and I lay our heads to sleep." Jules, whose father wasn't particularly happy about the last murder case his son took on, is definitely interested, because the previous murder case he'd solved had made him feel that "he never felt more alive" while investigating it. Needless to say (or we wouldn't be here right now, right?) Jules takes the case, but he has no idea what he's actually in for. As it turns out, the murder of the parking officer is just the first step down a long path that will take him places he never would have believed. with the murder of the parking officer as the central event, that's what Landau eventually runs up against. In fact, he uses a flow chart to help himself make connections throughout the story; a necessity because every time he uncovers one clue, it leads to several others. This central mystery of who killed Jack and why is intriguing, the writing style is gritty, and the plot kept me interested -- to a point. I enjoy mystery novels where the facts are revealed slowly, little by little, and that is definitely the case here. There are also a couple of built-in red herrings that sent my thinking in odd directions before getting back to business. Now here come the niggles. The first obstacle is the good citizen who comes to Jules' office and starts the ball rolling. I mean seriously. Most people would be irate and upset about a murder happening in his or her neighborhood, but probably not enough to spend a ton of money to hire a PI to do the job of the police, even if the police aren't doing their jobs. 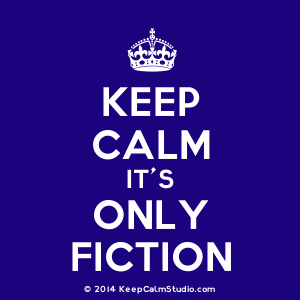 That is simply not realistic; it is simply not human nature. Another thing: Windy City Blues is the second in a series to feature Jules Landau -- and there's a lot in here about his father and his dying mentor Frownie, as well as his previous murder case. A mention or two here and there about Landau's past might have been enough to get all of this down for someone who hasn't read this second book, whereas there are full chapters devoted especially to Frownie that totally interrupted the flow of the rest of the story. I've read plenty of series novels in my life, and I've seen this kind of thing done so that it doesn't take up so much space and reader attention while still getting the point across. Third: I appreciated Jules' little "updates" each time he learns something new and is trying to make connections, because things start getting a little confusing as the scope of the bad guys grows in ever-widening circles. I'm not exactly sure just how to characterize this novel -- when all is said and done, it's like an action-packed private eye/conspiracy/mob/corruption/crime thriller/murder mystery with a little bit of love interest added in. This becomes problematic at the end because combining so many elements lends itself toward the entire story simultaneously coming together and falling apart as you're turning the final pages. It also finishes with that Hollywood/TV-style big flourish that seems to be de rigeur these days, which is, I suppose, what readers want, but definitely not my style. So, while I enjoyed the mystery component, Jules, and getting to the solution of the murder, there were a number of distractions along the way and I thought the set up and ending were both too over the top to be believable. But hey - there are plenty of people who love that sort of thing, AND there are plenty of people who started with the first book in the series and continued on, so I guess that's why this book is getting some pretty good 4 and 5 star reviews. I read this novel as part of a TLC book tour and it looks like I'm the end! If you'd like to see what a group other readers thought of this novel, you can find their reviews (which are pretty positive on the whole!) here.